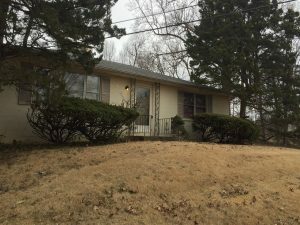 The office of Steere Family Therapy is an old home sitting up on a hill located at 8013 Brownsboro Road in the east end of Louisville, Kentucky. 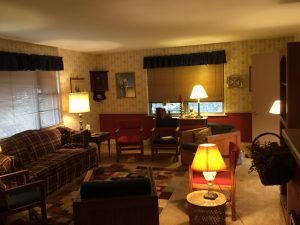 My parents and I have been providing services as therapists in Louisville at this location since the early 1980s. Clients have expressed feeling the home to be an intimate and comfortable place. Hello, I’m Tevis Steere, and I’m proud to say I am the son of two therapists in Louisville – Margaret Steere and Dr. David Steere. My practice has focused on individual therapy with children and their families since 1999. Steere Family Therapy is uniquely and carefully designed through the experiences developed by the Steere family both personally and professionally. It is a product of ongoing conversation between two generations in our family and how we have dealt with the challenges and opportunities of the past and present. Our hope is to provide a rare and unique opportunity to bring our experiences in living and working together to you and your family in an effort to create change for everyone. Developing coping skills, increasing self-esteem and lowering anxiety are the objectives of individual, couples, family, and group therapy. Margaret Steere specialized in marital, relational and family issues and practiced for over 35 years in the Louisville area. She also conduced specialized groups and trained in Eye Movement Desensitization and Reprocessing (EMDR). Margaret’s experiences as a therapist ranged from addressing issues of anxiety and panic disorders, depression, and abuse and neglect to a broad spectrum of relational issues. Her nurturing and understanding helped countless clients and still helps me in life and in my profession. Dr. David Steere was Professor Emeritus of Pastoral Care and Counseling at the Louisville Presbyterian Seminary. He authored Rediscovering Confession, Spiritual Presence of Psychotherapy and numerous other books. Dr. Steere had over 45 years of clinical experience specializing in marital, family, individual, and group therapies. David Steere spoke at countless workshops and conventions around the world. I had the distinct pleasure to co-lead group therapy with my father since 1999. The experience I encountered working with my father remains most invaluable. Take the time to view Dr. David Steere’s books in our reference library.